Hey there. How many of you listen to music while driving your car? I know I do. So when I'm driving through an area where there is no radio signal, it irks me. I don't like listening to static on the radio. It reminds of Silent Hill and freaks me out. lol You see, I drive through a mountain range when I travel to work and I don't get a radio signal. What I used to do what have my phone on speaker and have music play from my phone. The problem that I had with that was that I couldn't really hear since my phone's speaker does not compare to my car's speaker system. If only there was was a way to connect my phone to the car's speakers. Wait... there is!!! The Mpow Streambot Oval FM Transmitter does just that! Our good friends at Mpow provided me this FM transmitter to try out and review and it is simply one of the best FM transmitters that I have tried. Before I get into my experience, let's talk specs. Simple design. Easy to use. Only has 2 buttons and the LED display in the middle. Now, for those of you that are not familiar with FM transmitters, here is a quick rundown. A FM transmitter will allow you to to transmit audio from a mobile device to an unused FM radio station. There are plenty of unused radio stations and using a FM transmitter will allow your mobile device to utilize one of those stations to play audio files through your the radio. It's a pretty awesome concept and one that I am glad that Mpow was able to create one that actually works great! Single red indicator light tells you its on and the added USB port is perfect for charging your device while in use. The design of the Mpow Streambot FM Transmitter is pretty simple but looks good. I'm a huge fan of the red and black combo (as you can see from my blog design. lol) and this transmitter is black with red lights. There are only 2 buttons on the device and they are used to scan through radio stations. Each press of the button will change the station by .1. I thought that was pretty weird since my radio jumps from station to station by .2. No biggie. There also is a USB port that can be used to charge your device. It carries 2.1A to charge some of the more high powered devices. I thought it was great that a charger was included. The last thing you want is your device to run out of power while you are transmitting to your car speakers. And lastly, the device has a 3.5mm jack. It's the standard headphone jack so as long as your device has a slot to insert the jack, you are good to go. Set up is as easy as one, two, three. 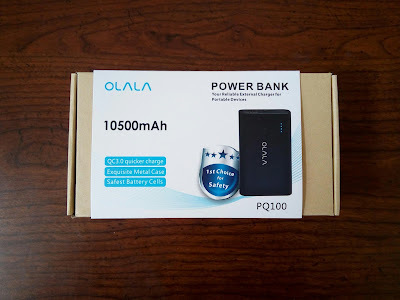 You plug in you transmitter to the car, you plug in 3.5mm jack to your device, set your device to an unused FM station and change your radio to that station. That's it. It really is that easy. Pandora on. Check. Let's rock and roll! Now for my experience. I live in Lancaster, CA and I travel to Los Angeles daily. In order to get LA, I need to drive through a mountain range. During that stretch of highway, radio signals are scarce. 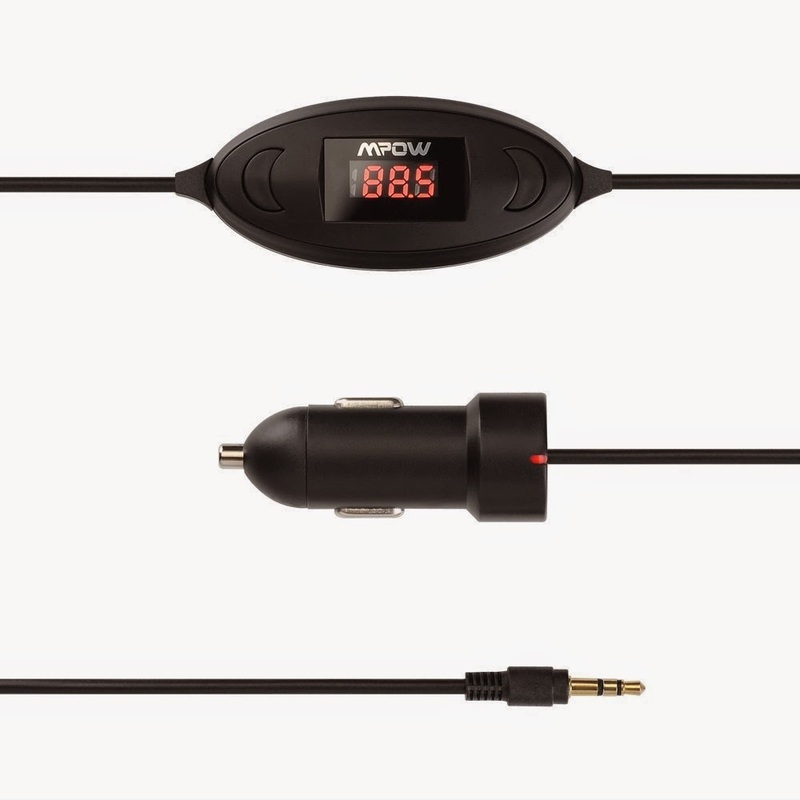 Instead of riding in silence, I plug the Mpow Streambot Oval FM Transmitter into my car, plug in my phone using the 3.5mm jack, and look for an unused FM station. Personally, I listen to Pandora the whole way. Uninterrupted music the whole way. But the best part is that you can use any type of media to listen to. If you have any type of audio files, you can play them through the transmitter. Podcasts, audio books, music, you can even answer your calls and listen to the conversation from your car speakers. That's a pretty neat experience, if I do say so myself. The connectivity is one of the best that I have experienced using a FM transmitter. I have tried others before but I lost connection time and again. Or if the connection wasn't lost, the sound quality was poor. I have used FM transmitters that would provide a fuzzy sound. It's was just horrible. I love music and I want to be able to hear a clear and crisp sound. Not some muddled crap that I would get before. The Mpow Streambot Oval FM Transmitter provides some of the best sound that I have from a FM transmitter. Not once did I lose connection and not once did the sound quality suffer. Big kudos to Mpow for creating such a solid device. If you find yourself driving through areas with poor radio signal, you need to get this. Maybe you are just not happy with your local radio station and you prefer to listen to music apps on your phone, you might want to pick this FM transmitter so that you can listen to the music through your car's speakers. Even though I travel and receive a weak radio signal, I find myself plugging in the Mpow Streambot Oval FM Transmitter just because I prefer to listen to Pandora or iHeartRadio instead. And the best part is that you can pick one up for under $15 right now on Amazon. This would be a great gift for the techie in your life. It would also be a good stocking stuffer for those that do a lot of driving. Regardless of who you give this too, they'll be receiving one of the better FM transmitters that I have ever used! Later! It's one of my favorite aswell, Christina & MetallmanX!